GSM Roofing dates back to 1946, when Fred Gooding decided to pursue his dream of starting a roofing company. He moved from Philadelphia to Lancaster, PA and sold his car to pay for his first job materials. Fred hitchhiked to his jobsites until Bill Simpson – and his truck – joined the business venture. Fritz Mackes, a sheet metal mechanic, soon joined the duo and the Gooding, Simpson & Mackes roofing company was born. After returning from Vietnam in 1969, Fred Gooding’s son, John, joined the company. Of the three founding families, John is the only member of the second generation to work in the business full-time. In 1983, the growing sheet metal division became a separate entity (GSM Industrial) as it began to expand into non-roofing related metal fabrication projects. The venture is headed by Jim Towers, John Gooding’s brother-in-law. In 1987, John opened a second roofing location in Newark, DE. 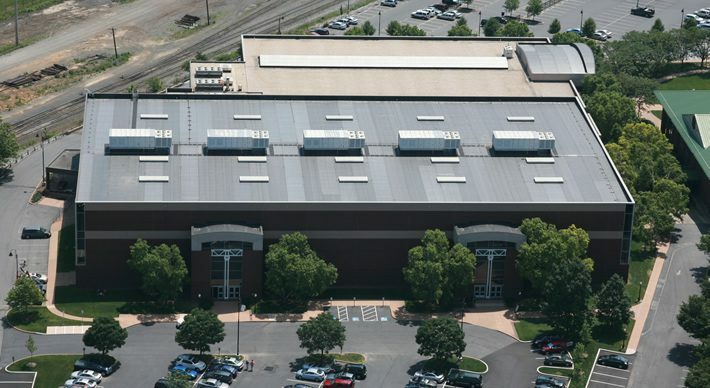 Through the decades, the company grew and garnered its reputation for delivering quality roofing solutions with unmatched customer service. In 1996, John’s son, Reed, joined the company with his other son, Will, joining in 2004. 2009 was a year of change, with the company launching its new name, GSM Roofing. The Delaware location also moved to Elkton, MD. In 2012, the third-generation Goodings took over leadership of the company, with Reed named President and Will named Vice President. John Gooding remains Chairman. Today, GSM Roofing is one of the largest, most respected commercial roofing and specialty roofing contractors in the region. The third generation of the Gooding family is effectively leading the business, and our commitment to quality, safety and service is as strong today as it was in 1946. GSM Roofing and GSM Industrial make up The Gooding Group. GSM Industrial has been led by the Towers family for over 35 years and GSM Roofing has been led by the Gooding family for more than six decades. John Gooding and Jim Towers each have two sons who are part of their respective businesses. Founded in 1988, The Gooding Group Foundation carries out the philanthropic efforts of the Gooding family. It supports non-profit organizations in South Central and South Eastern PA, northern MD, and DE. In addition to its charitable contributions, the Foundation also honors employees through a matching gift charity program and college scholarship program.